Late bloomer. 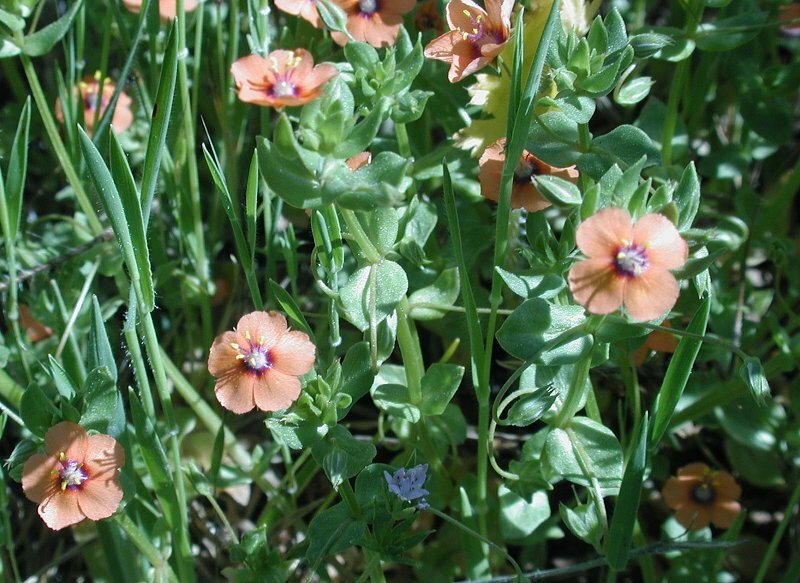 Small red to orange flowers, 5 flat petals, sprawling leafy stems. Primrose Family, toxic to humans and animals. Notes: They are from Europe. The color variation depends on soil.